If you haven’t read my previous post ‘ Are you taxable?‘, then you should have a look, if you’re taxable, then this post is important as you will have to know how much tax you should pay. If you pay less, you will be fined, if you paid extra, you can request refund the extra. Remember I’ve mentioned that, if your annual total income was less than RM 30,667 (after deduction of EPF), then you don’t even need to register a tax file with Inland Revenue Board Of Malaysia nor pay income tax. Before the up coming Goods Sales Tax (GST) take effect on 1st April 2015, let’s focus on personal income tax. 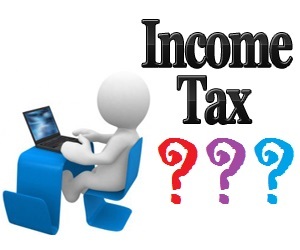 I think there is a common question for fresh new graduate after getting into their first job: Shall I pay income tax? Let’s start from the very beginning, Are You Taxable? According to Inland Revenue Board Of Malaysia (aka Lembaga Hasil Dalam Negeri Malaysia), with effect year 2013 an individual who earns an annual employment income of RM30,667 (after EPF deduction) or RM 34457.30 (before EPF deduction) has to REGISTER a tax file. This mean if your monthly income equal or not less than RM 2,871.45 (before EPF deduction) or RM 2,555.58 (after EPF deduction) for continuous 12 months in a calendar year, you must register a tax file. For your information, current EPF contribution rate is 11% for employee and 13% for employer. Register A Tax File = Pay Income Tax?